The iconic Petronas Twin Towers have long been the beacons on the Kuala Lumpur skyline, but come 2020, a new pair of skyscrapers is set to become another of the city’s most talked about landmarks. The two buildings make up Yoo8 serviced by Kempinski, a stunning branded residence that is part of 8 Conlay, a larger mixed-use development by renowned Malaysian property developer KSK Land. With a strong focus on design, 8 Conlay will see a collaboration between RSP Architects Kuala Lumpur, international interior design firm Yoo and landscape design expert Trop. RSP drew inspiration from the philosophy of yin and yang for the architecture of 8 Conlay, resulting in a design that evokes the Chinese character for the number eight—an apt tribute to the property’s coveted address. Yoo8 takes the form of two twisted residential towers that are set to be the world’s tallest buildings of their kind upon completion. Within the walls of the branded residence, there is a sense of quiet elegance in Yoo’s contemporary designs. The residential units at Tower A, which are designed in collaboration with Hong Kong interior designer Steve Leung, feature distinctive Asian touches, and only limited units are available. Meanwhile, British designer Kelly Hoppen offers a slightly different treatment at Tower B, which spans 56 floors and comprises 498 luxurious apartments of varying sizes, from 705sqft to 1,328sqft. Homeowners can choose between two design concepts: Urban, which exudes a minimalist chic vibe with muted tones and materials such as taupe stone and dark timber, and Spring, which pairs an earth-toned palette with weathered surfaces and unbleached fabrics. In line with the luxurious aesthetics of the residential units, the public spaces at Yoo8 also sport a similar sophisticated design. The Water Lounge on level 26 of Tower B, for instance, features a 25m lap pool, ripple pools inspired by the Malaysian rainforest, and pod-like cabanas. There is also a multi‑tiered park called Green Refuge on level 44. Taking creative inspiration from Balinese rice terraces, it features a jogging path and quiet nooks for those seeking rest and respite. 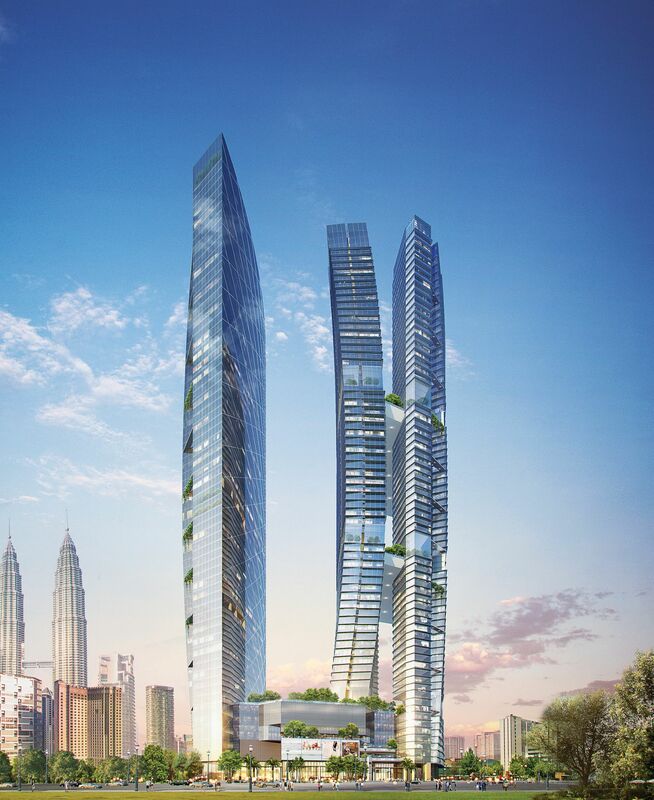 Besides Yoo8, the Kempinski brand will also debut its first hotel in Malaysia at 8 Conlay. The Kempinski Hotel Kuala Lumpur stands adjacent to Yoo8—and for good reason. The five-star hotel’s signature hospitality will be made available to Yoo8 residents through a host of services, from the concierge with its Lady in Red ambassador to the convenience of booking a butler, private chef, housekeeper, tailor or masseuse. Upon the confirmation of a unit booking, residents are further welcomed with the Kempinski Discovery Platinum Card, which gives them access to benefits at any Kempinski hotel worldwide, from late check-outs and room upgrades, to a guaranteed suite two days before their arrival. 8 Conlay also boasts a lifestyle retail quarter replete with cultural, dining and shopping experiences. What’s more, the surrounding neighbourhood offers interesting recreational options too. Bukit Nanas Forest Reserve, the city’s only surviving patch of virgin rainforest, beckons for leisurely strolls and treks, while discerning gourmands can head to Jalan Imbi and Jalan Alor Food Street, just minutes away, for authentic Malaysian street food. Meanwhile, the nearby fine-dining restaurants and bars such as Nobu, Troika Sky Dining and PS150 will surely satisfy the bon vivants. With a coveted address and an emphasis on design and luxury complemented by top-notch hospitality standards, Yoo8 serviced by Kempinski ticks all the right boxes for those keen on making an astute property investment. As Leong Boon Hoe, chief operating officer at List Sotheby’s International Realty, Singapore, which is marketing the property in Singapore, puts it, “Investors of a branded residence such as Yoo8 receive not just the assurance of a quality home, but also the luxury of five-star hotel quality service.